We don’t know about you, but one of our MOST favorite things in the entire world is bubbles. 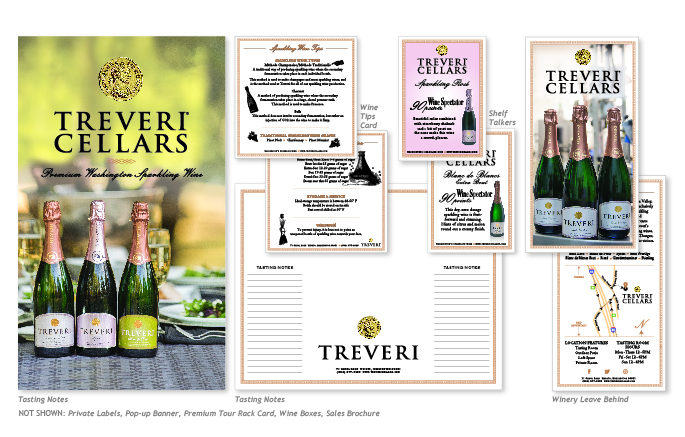 Which makes our partnership with the lovely Grieb family at Treveri Cellars a thing of beauty. As the only solely-sparkling winery in Washington, they have a unique (and frankly, delicious!!) offering in the wine market. And we get to create all kinds of beautiful materials to show them off…from labels to pop-up banners to tasting room collateral and everything in between (you can take a closer look at some labels over here). And yes, we might sip a little bit of their bubbly here and there for a little extra inspiration!